You’re absolutely starving, you duck into a café, pick up the menu, and surprise! (Or maybe you’re used to this) – You can only choose between a chunk of iceberg lettuce, bottled water and nothing. iday and aren’t familiar with your surroundings. For your next trip to Bali though, fret not. We’ve hunted down 10 awesome restaurants for you. 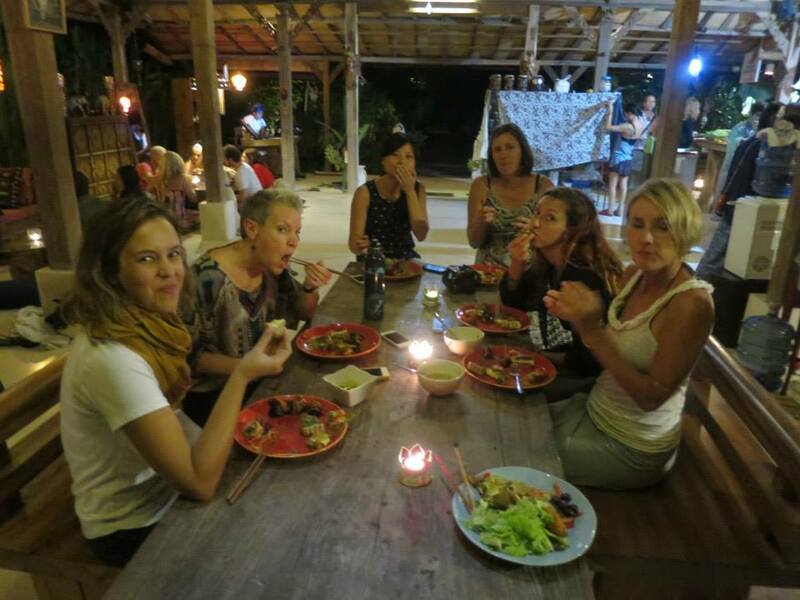 Housed in a beautiful bamboo structure, this restaurant perched on the banks of the Ayung River. What an amazing view you can get while dining! And this view is not restricted to the restaurant alone. Its villa, Puri Ahimsa, boasts of some of the best views in Bali. 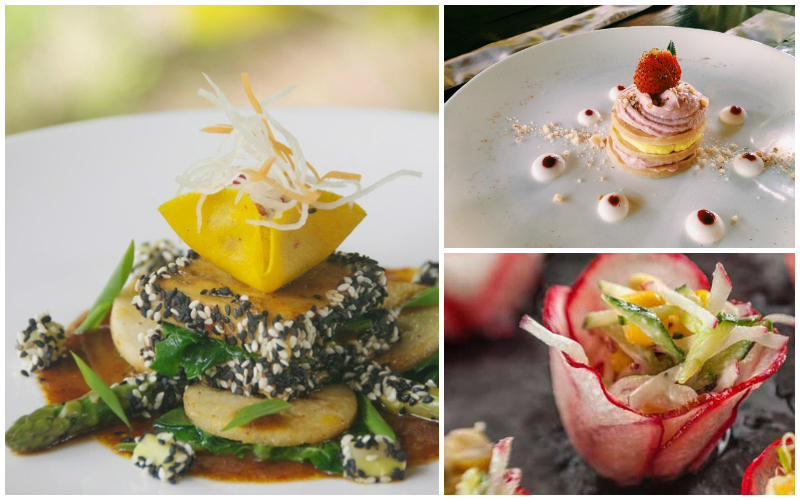 Whether or not you’re a vegetarian, you mustn’t miss having at least one meal at Fivelements Sakti during your stay in Bali. Prices are actually pretty affordable, for a fine dining establishment. 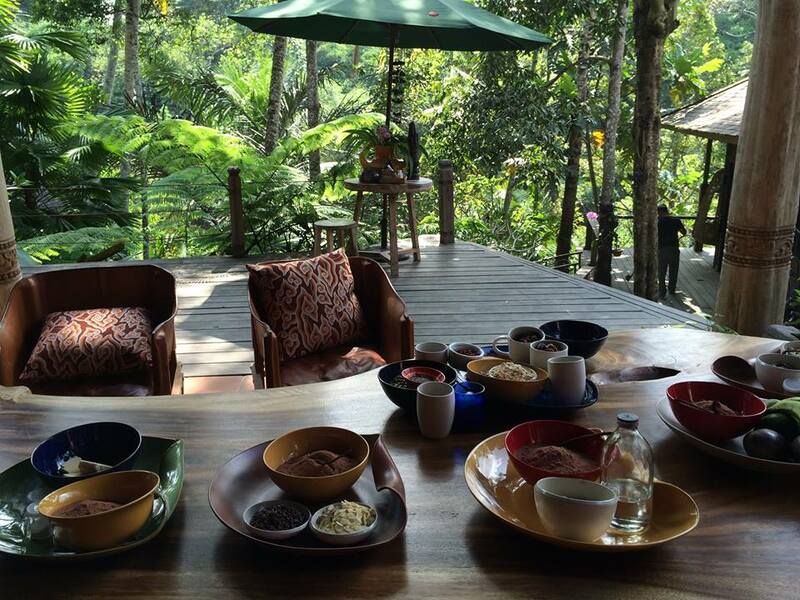 You can arrange to come for a multi-course lunch or dinner or the tasting menu and definitely indulge in dessert which is concocted from raw cacao, vanilla and fresh fruit. 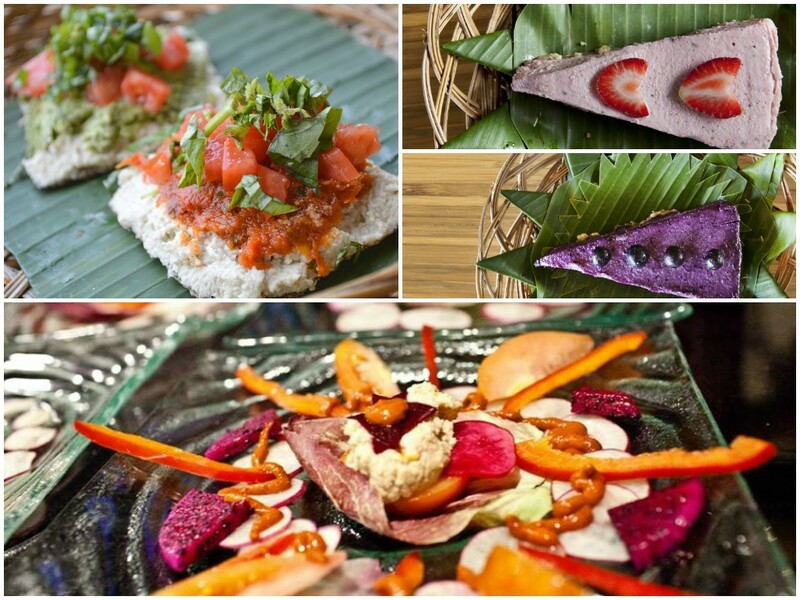 If you can’t get enough of this raw vegan deliciousness, the restaurant actually offers cooking classes, so you can take the tastes home with you! 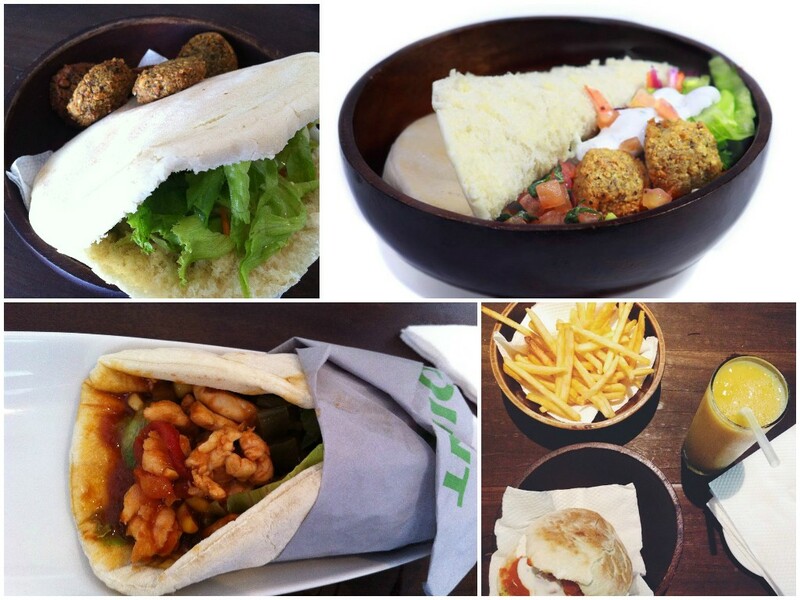 In addition to Indonesian cuisine, you’ll find very authentic Greek and Middle Eastern dishes here. 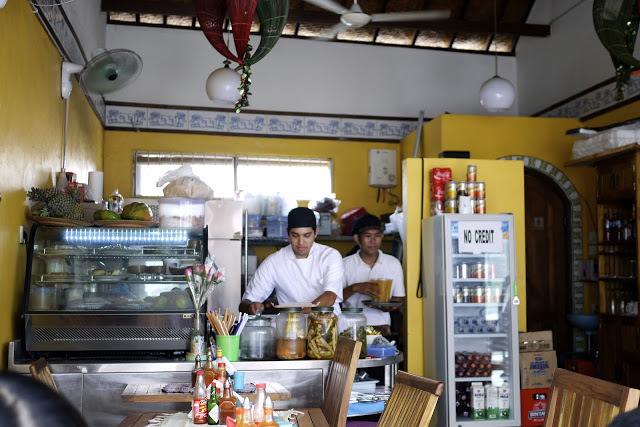 Located in a party district, this café is perfect for both a healthful meal and pre-party beers. While meat is offered for your carnivorous friends, you can design your own wrap with a choice of fresh vegetables and falafel. On a budget? 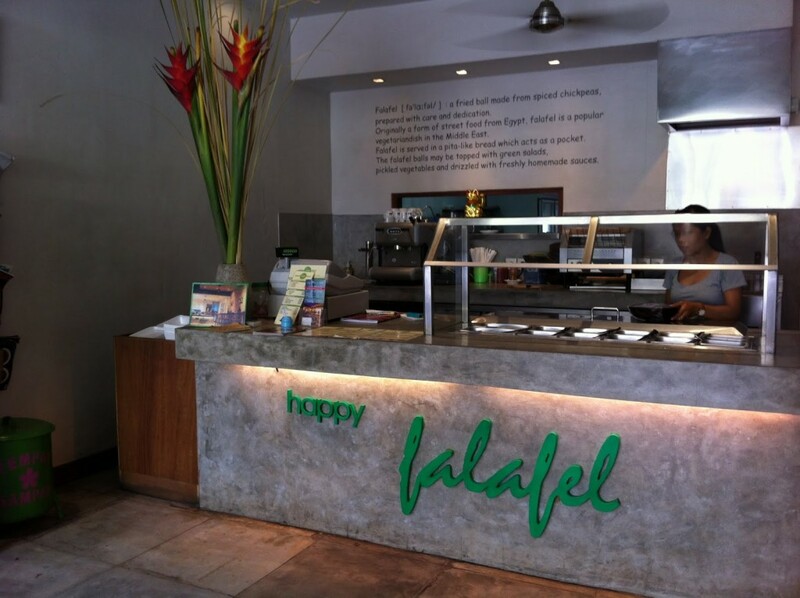 Happy Falafel offers cheap set meals consisting of falafel, fries and a drink of your choice. 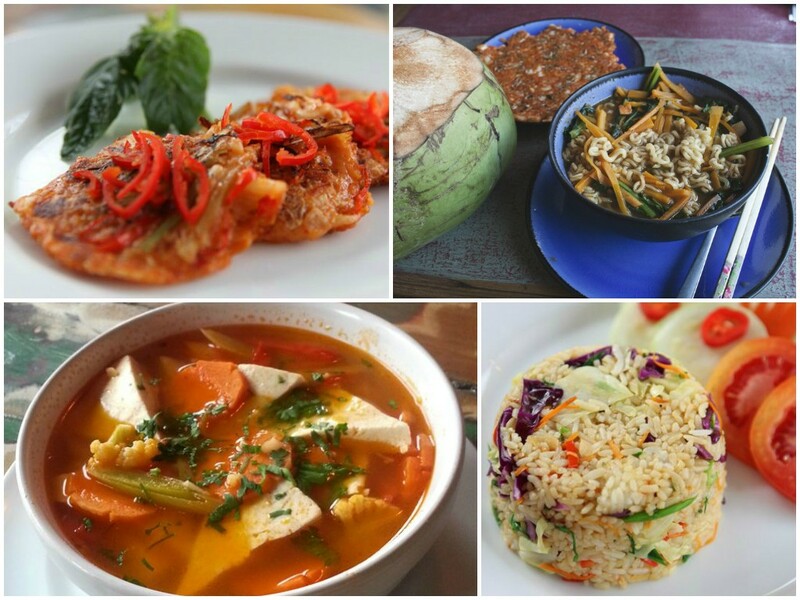 This is the only restaurant that offers Korean food in Ubud, so it will also have a special allure for non-vegans. The owners are Korean, so you can expect excellent Korean cuisine in addition to their Indonesian dishes. Must-try items include the spicy ramen, bakso balls, kimchi pancake, and Nasi Campur (think Indonesian tapas) with wonderful sambal and dairy-free ice cream. Most of the food served actually comes from the owners’ very own organic garden – so whatever you eat is as fresh as it can get! After dinner, you can also wander along a pottery gallery, which is connected to the restaurant. All pieces are available for sale at reasonable prices. You can even enjoy a spa. Now, Nine Heaven clearly feeds more than one sense. 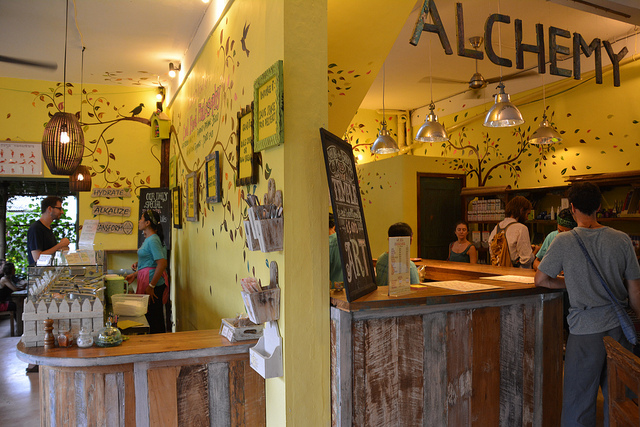 After a full and satisfying meal, Alchemy is where you can slowly amble to – a pretty little vegan dessert café where cakes are as healthy as salad. 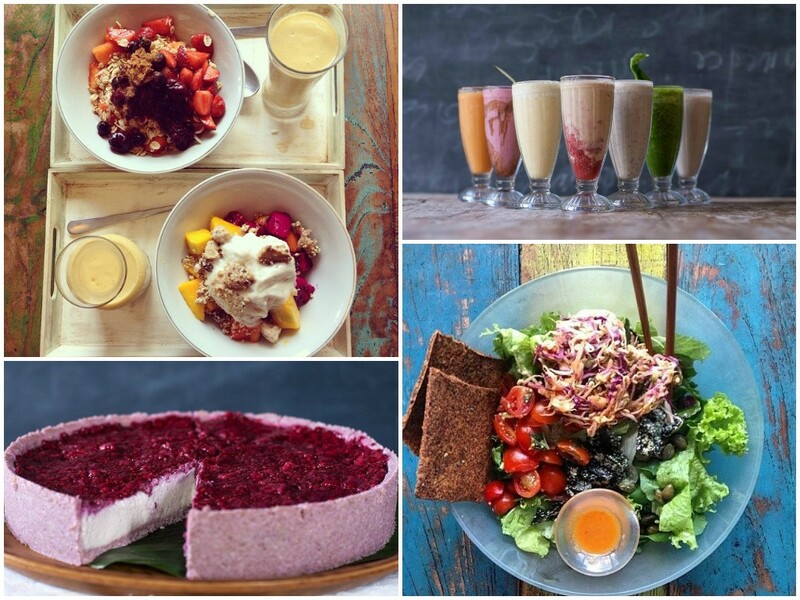 It may sound unbelievable, but everything at Alchemy is as healthful as it is sinful-tasting, being raw vegan and free of refined sugar, wheat, flour or preservatives of any kind. 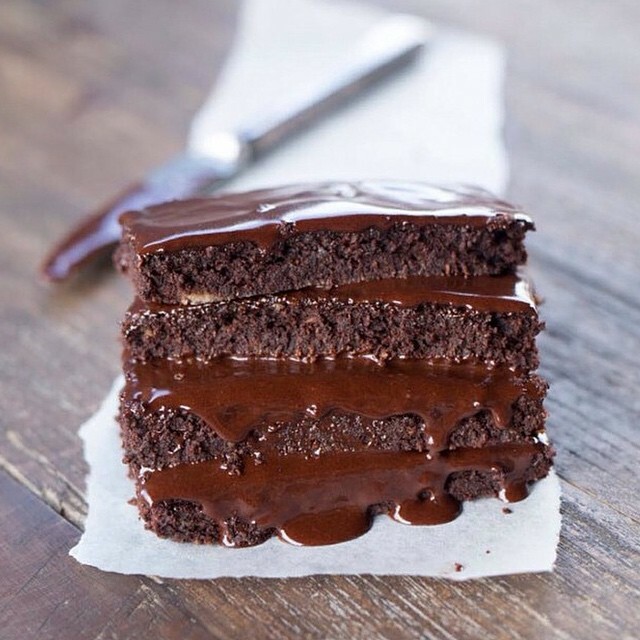 Feast on raw chocolate (essentially pure cacao combined with coconut oil, vanilla, cacao butter and palm sugar). You’ll also love its cheesecake, cashew milk and cold pressed lattes. If you want a healthy start to the morning, the breakfast bar has much to recommend – you can mix fruits, nuts, berries, coconut crème and chocolate syrup to kickstart your day. Or you can just, you know, have chocolate for breakfast. 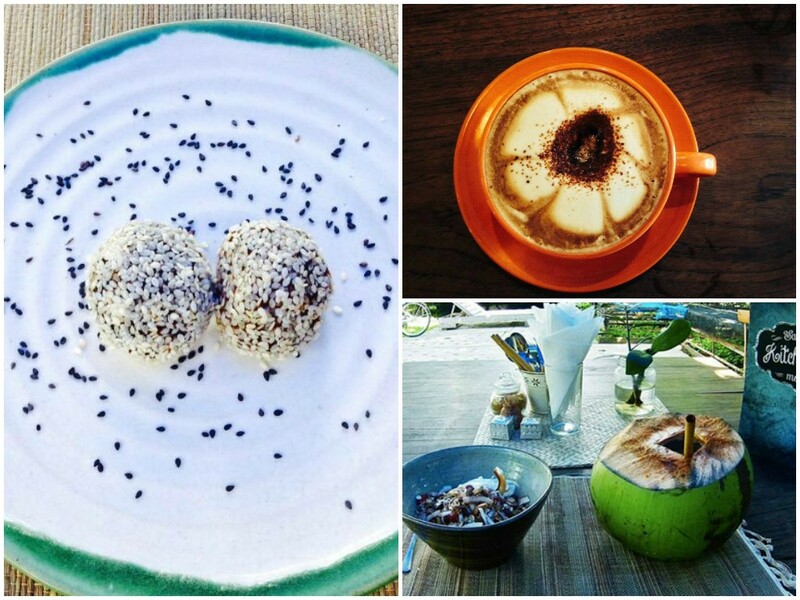 Go to the Living Food Lab in Kuta for raw vegan, organic, gluten-free salads, desserts, a granola station and a juice and elixir bar. Many of the ingredients are literally garden-fresh. 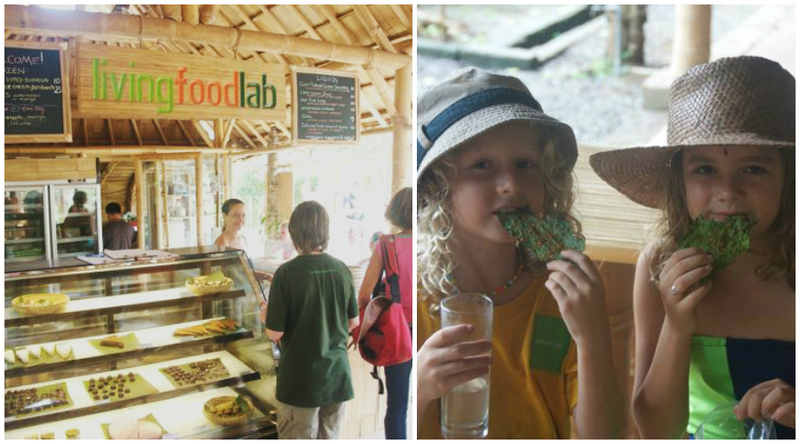 But the main attraction of the Living Food Lab may well be its location – the iconic Green School, which was deemed the Greenest School on Earth in 2012. Students are taught on sustainability and environmental stewardship, and even the building itself showcases these principles – it’s made of renewable materials like bamboo, mud and local grass. The school is powered by a mix of micro-hyrdo power and solar power, and students even tend to an organic farm! Come down on Saturday to get a tour of this world-famous school that makes sustainable living fun. You must try the unreasonably tasty raw vegan lasagna here, together with all the raw vegan food, a wide selection of Chinese teas and tonics, and raw chocolates with tonic fillings. 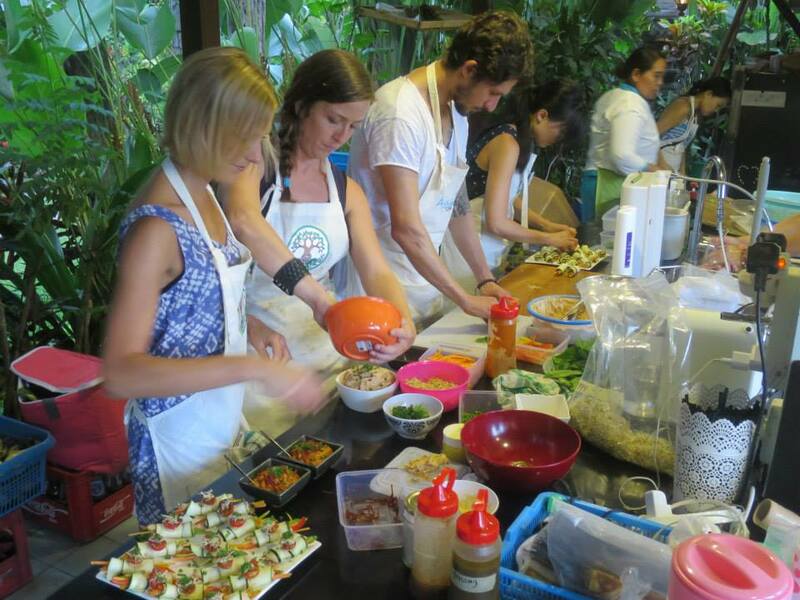 The daily ashtanga yoga and qi gong classes offered will shake you out of your post-meal stupor, while the raw vegan cooking classes will transform you into a lasagna-making, chocolate-conjuring chef. 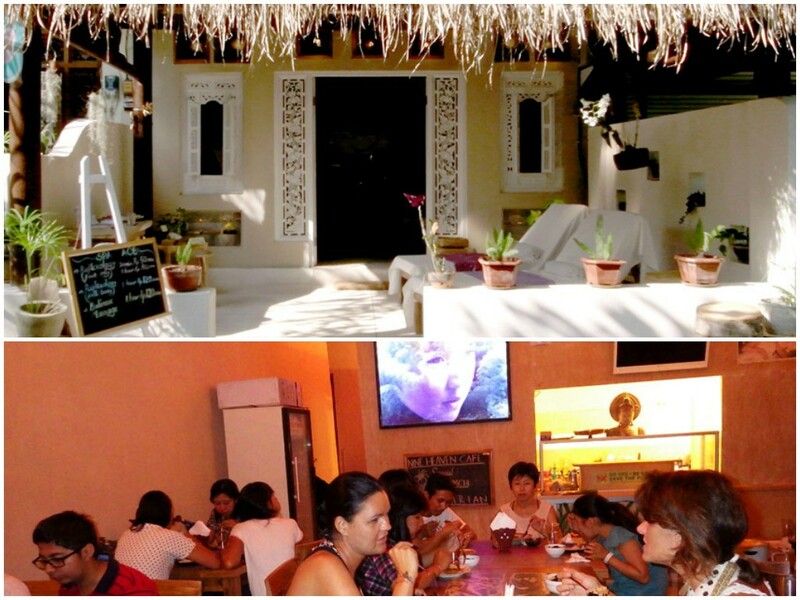 Slung with a hippie vibe, pop by The Seeds of Life to explore a new lifestyle and head home (almost) reborn. Taco Beach sells (what else?) 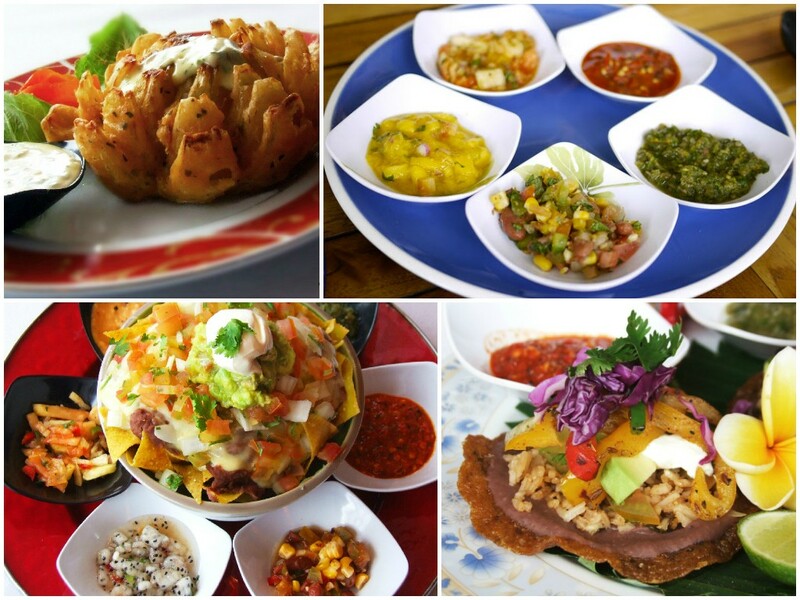 tacos, nachos, burritos and other Mexican delights, which can be made omnivore, vegetarian or vegan-style at your request. The light thin corn chips are made in-house as are the salsa, guacamole, hot sauces, pickled onions and jalapenos. 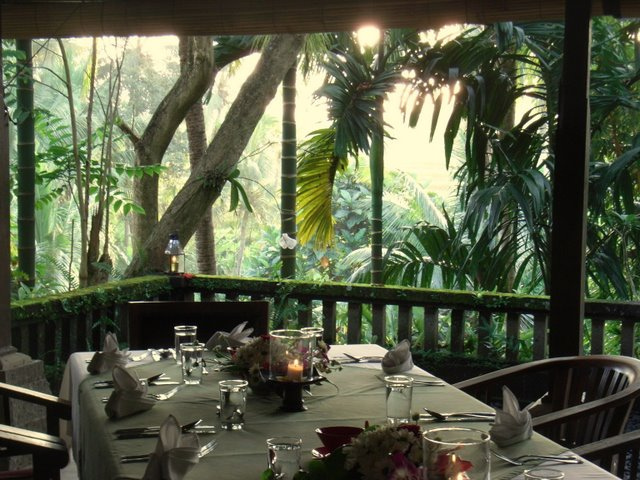 Fancy enjoying your meal in a villa with a lovely garden? 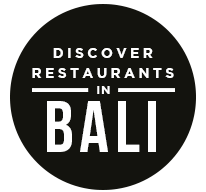 You can do just that at Samadi Bali, operates out of the villa. From 8 AM to 3 PM, hot chocolate, cappuccino blended in nut milk, smoothies, fresh juice, a variety of hearty mains as well as light salad are available. The owners actually source for fair trade ingredients whenever possible and only buy what is in season – good practices that are seldom replicated as much as it should. 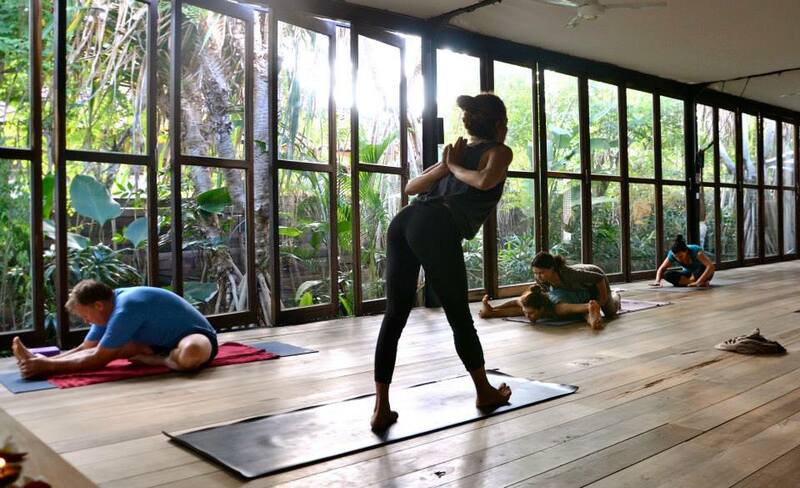 If you’re aching to get some workout, head next door for ashtanga yoga classes at various difficulty levels. 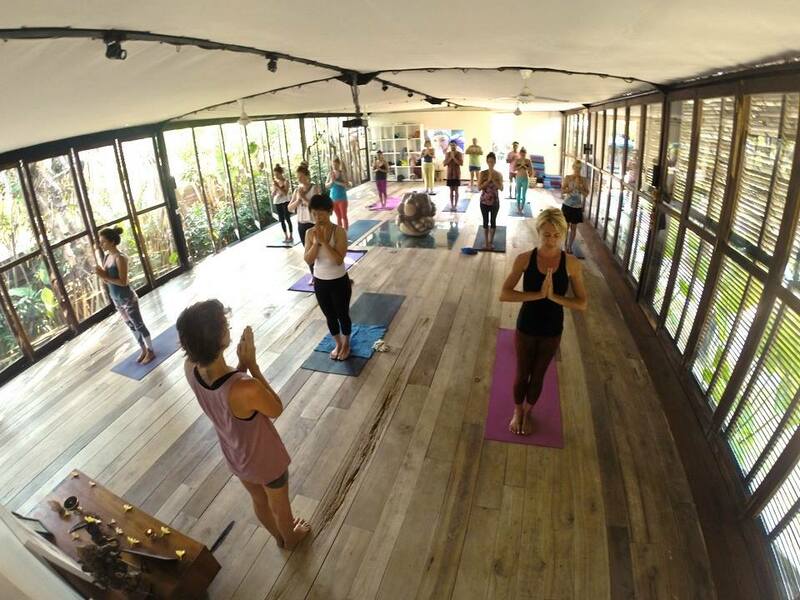 As you loosen up the knots in your body, listen to the water rushing under the studio (Yes – the studio is built on a river!). If you want an even more unique experience, look out for Sundays and Wednesdays. On Sundays, Samadai bali hosts a farmers’ market, where you can buy locally grown vegetables and homemade nut butters. While on Wednesdays, Samadi is magically transformed into a cinema – a night film screening is held, accompanied by a buffet of vegan food. 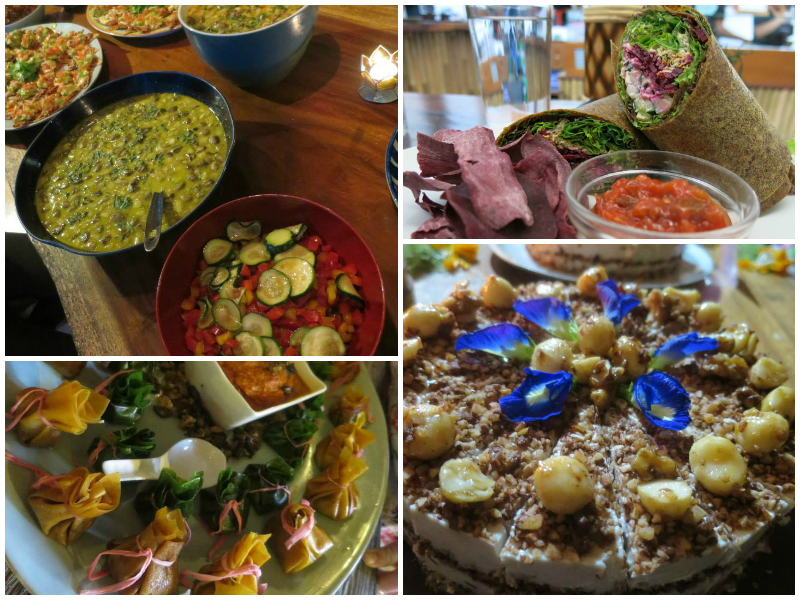 Are there any more delightful vegan or vegetarian restaurants we missed? Share it with us today! MehTheSheep is an online magazine that inspire people to rethink about what they can do and where they can stay in Bali. We redefine how travel guides are being served in a more useful way. 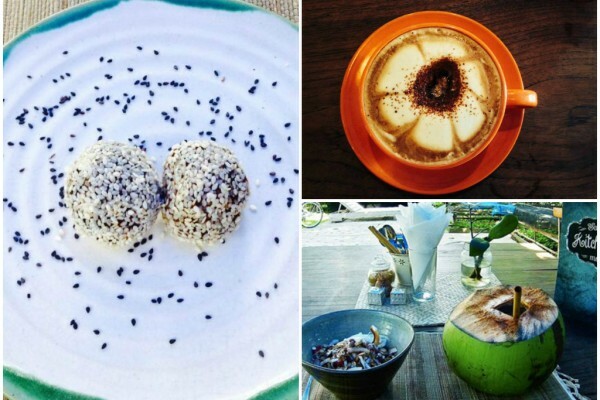 The post HERE’S 8 DELICIOUS VEGETARIAN RESTAURANTS IN BALI YOU MUST TRY appeared first on Qraved Journal.